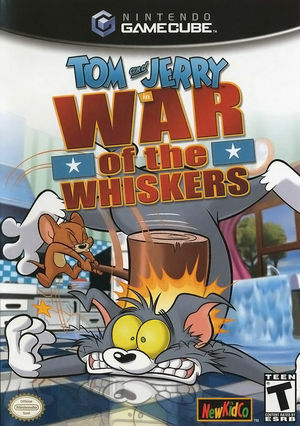 Tom and Jerry in War of the Whiskers is the sequel to the cartoon 3D fighting video game called Tom and Jerry in Fists of Furry for the Nintendo 64 and PC, released in 2000. Players choose from four modes: single player, vs. battle, tag team and team play. The game's UI, including menus and health bars, is totally missing - bar the level select images and the game's logo that appears prior to the main menu. These were last visible in 4.0-3746 /w Direct3D, and 4.0-160 /w OpenGL. Refer issue 8778. The graph below charts the compatibility with Tom and Jerry in War of the Whiskers since Dolphin's 2.0 release, listing revisions only where a compatibility change occurred. This page was last edited on 24 May 2018, at 09:04.